OK, so Christmas is 3 weeks away. Has it crept up on you? Us too. That means it’s time to start getting your thinking caps on so you can avoid the last-minute rush, and we think we’ve got the solution—why not give the gift of warmth this Christmas? The usual socks, scarves and gloves might seem a bit cliché, but it can’t be denied that they can come in pretty handy. You don’t have to stick to boring versions either—this year you’ve got huge amounts of choice and can go for things like snoods, animal-style hats and furry gloves, and even socks can have a makeover with fun prints or motifs for something different to the norm. 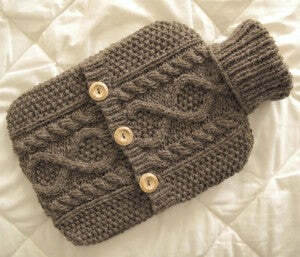 And what about hot water bottles? The perfect way to warm up when it’s cold outside, a hot water bottle (or their microwavable alternative) can be a fantastic present. Again, you can go for really fun designs to make it a truly thoughtful gift, and after that you might like to think about sweaters and cardigans to really wrap up. After all, who can resist a good Christmas jumper? But, the icing on the cake will always be a duffle coat. If you’ve got a loved one crying out for a new winter coat a duffle will be the ultimate solution, being the perfect way to keep them warm and cosy in even the chilliest of conditions. Made of thick, durable material whilst having a distinct sense of style you’ll find the trusty duffle could make the perfect gift, being a practical yet stylish addition to any wardrobe. So what are you waiting for? You don’t want to leave it until the last minute and end up in a panic-buying spending spree, so get things organised and give the gift of warmth this Christmas (and of course, make sure to take a look around where you’ll find the duffle to suit. We had to put that in there).